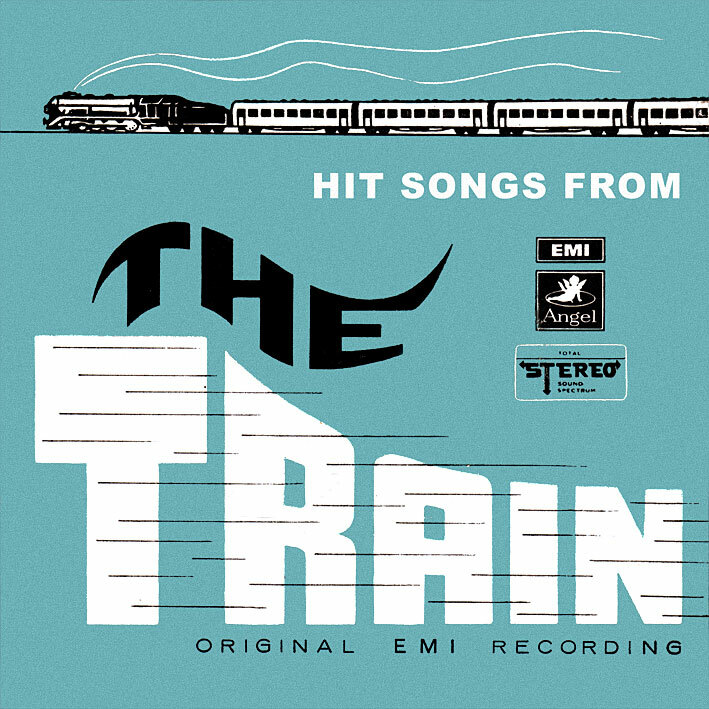 Two oddities this time around: I mentioned earlier why the Gramophone Company of India didn't take kindly to Polydor releasing the soundtrack to 'The Train', and how they responded by putting out an EP of cover versions. Well, here it is. I imagine the release would have seemed redundant and even desperate at the time; the tracks do sound somewhat lacklustre, as if nobody involved really had their heart in it. It's worth a listen though, as an interesting historical curio if nothing else. I notice they didn't attempt covering 'O Meri Jaan Main Ne Kaha'; probably wise. 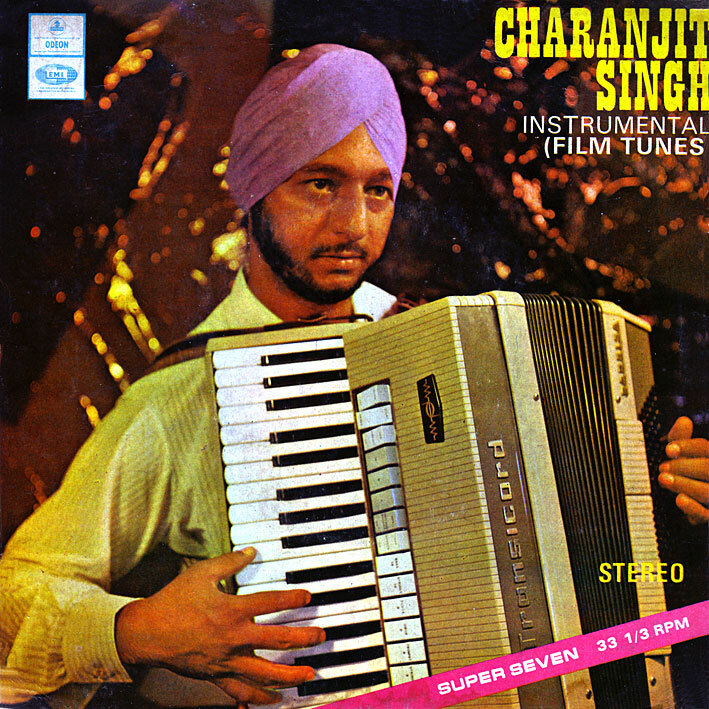 These days, and in certain circles, Charanjit Singh is considered something of a legend, primarily due to the album 'Synthesizing: Ten Ragas to a Disco Beat', on which he more or less invented Acid House. Without anyone noticing, and a good ten years before the genre even existed. It's a stunning record. What concerns us here though, is his earlier collection of instrumental versions of Bollywood songs. In general, I'm not a fan of such undertakings – most of what I've heard has sounded tedious and uninspired – but 'Instrumental Film Tunes' is really very good. A versatile session musician, Singh seems to have opted for highlighting specific instruments on each title – maybe it's because of his choices that these versions contain a distinct garage and/or surf quality. And that certainly works for me; I love this. It's only an EP, but two additional tracks, from the long player, can be found on the splendid Radiodiffusion blog. I should get hold of a copy. Thanks for blog post and the songs! Music from the Teesri Manzil rocks :-). Have to listen to the songs but Hemlata for Lata is interesting. Never heard of Amber Kumar though. I know that your project is finished (congratulations!) but please do keep sharing these interesting pieces, as and when you find them. Ooh looks interesting :) Thanks! Don't have it, but I am aware of it. From what I've heard, it's not actually the background score; what Polydor did was give the original tapes to a synth guy called Peter Moos, for him to play around with. You're right, I should try and locate a copy. PC Thanx again for these instrumentals. Would like to request for Saas Bhi Kabhi Bahu Thi vinyl rips if you have. Pc plz take a look here. Thanks, but no thanks. I ordered from there once before; I wasn't much impressed with their grading. (Visibly worn and crackly vinyl is not vg+). And frankly, I'd consider paying $350 crazy. I guess this is the link for the vinyl! Interestingly - I recently found a fairly trashed EP in a bargain bin at a record store in Boston. The record was Sachaa Jhutha - the singers, A Kumar, Krishna Kalle et al. It actually sounds pretty good! I wonder how many of these cover EPs were released? No idea to be honest. Interestingly, the original Sachaa Jhutha soundtrack was another Polydor release from around the same time as The Train; perhaps EMI recorded a whole bunch of cover EPs in a single session.